Renault has become an official partner of the French Grand Prix, which returns to the calendar this year. France last hosted a Formula 1 race in 2008 at Magny-Cours, but now Circuit Paul Ricard will host the eighth round of the 2018 world championship. Renault, France's biggest car manufacturer, has confirmed that it will be a partner of its home race this year. It stated that its presence will be "very visible and very noisy with a yellow stand, several thousand guests, a fleet of vehicles made available to the Circuit, a large number of events in the Fan Zone and a booth". "The French automotive industry is an asset for our country and one of real pride. 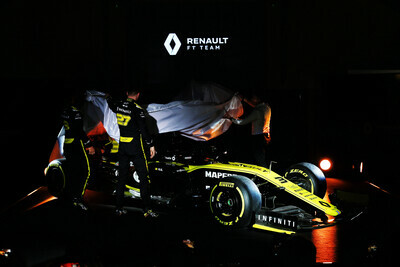 Succeeding in bringing back the Formula 1 French Grand Prix, after 10 years of absence, is an opportunity to demonstrate on home soil the French excellence of the Renault brand, its engines and its even more efficient technologies," said the French GP president, Christian Estrosi. "I welcome the signing of this ambitious partnership agreement with Renault, who I want to thank for its commitment to this collective adventure. 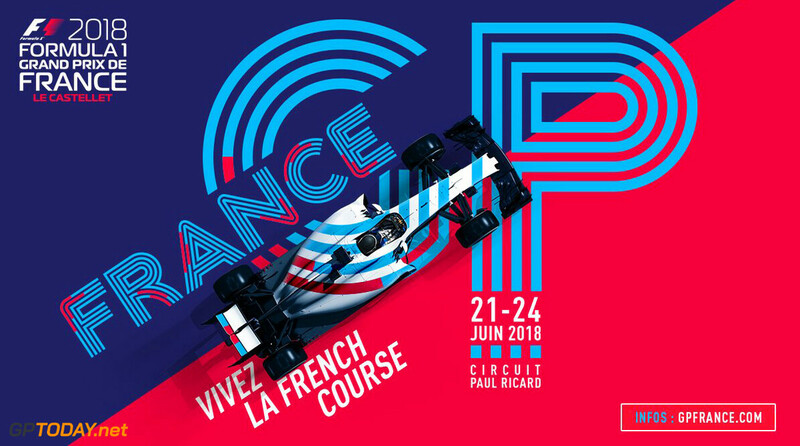 It is today, with our national team, the French sports directors of other teams, the three French drivers in competition and all the influential French personalities, a real French movement that is set up in F1." Maybe it was designed before the change, or there was some kinda licensing thingy preventing them from using the current logo?